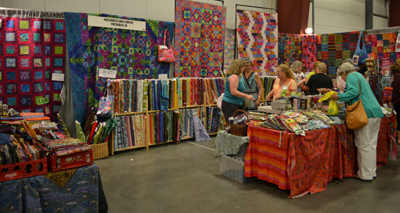 Every year I treat myself to a day of inspiration and go the the Vermont Quilt Festival. 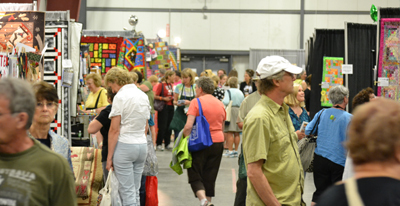 While I am inspired by pictures in magazines, books, and on-line and attend smaller quilt shows, this is the big day that I can’t wait for every year! It is always toward the end of June, close to my birthday, which is rather significant, as truly I feel like my creative spirit is reborn after seeing all that there is to see. 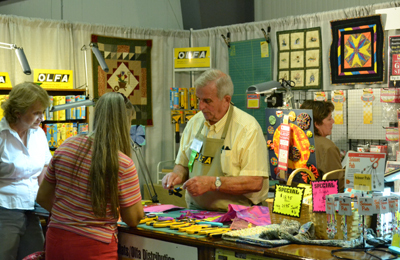 Besides the many beautiful quilts displayed, there are vendor booths with every imaginable sewing notion, materials of all types, patterns, books, and artwork for sale. 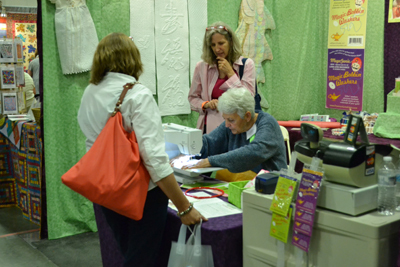 The demonstrations of new techniques is always fascinating too! 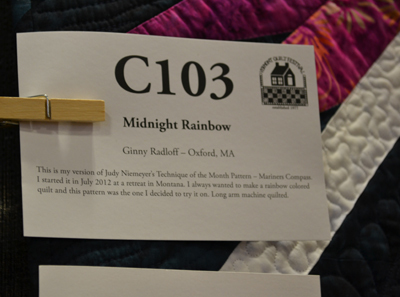 My birthday gift is my family joining me in this event and taking photos so I can enjoy these quilts for years to come. Gifting me with a bit of cash to spend there, is always a treat as well, for I will not see such variety of sewing wares for another whole year! 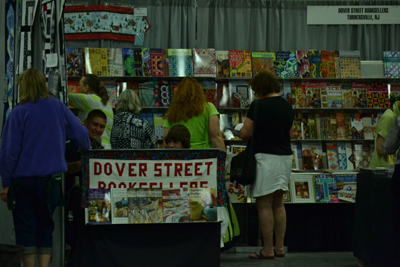 More and more vendors now sell on line as well and so, when my money runs out, which it always does, I have a collection of business cards directing me to on-line shopping opportunities for the rest of the year! Being surrounded with other sewers as well is wonderful. I find that we are all “cut from the same cloth”! 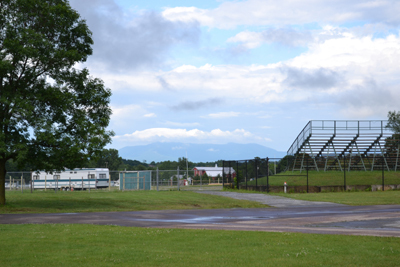 To date I have never attended their classes, but for those that are more able bodied, it is typically a three day event and lodging and transportation are available! 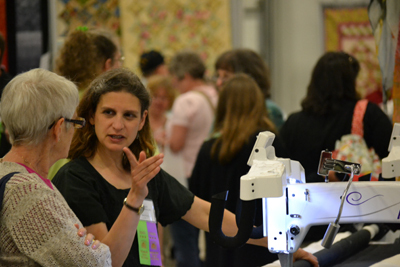 One day is about all my body and brain will hold of this splendor and I find myself oohing and awing and talking to other quilters and sewers as we admire the fine artwork displayed. Instead of downsizing my collection of sewing stuffs, I am still avidly dreaming, scheming and collecting. My ideas bounce off of what I see and I pray that I will live as long as Grandma Moses and be so prolific in my stitching as she was in her painting. My joy truly comes from designing and stitching and it is becoming almost an obsession for me. I laughed not long ago telling another sewer of the great estate sale that expanded my library of materials, patterns and threads and launched my business. 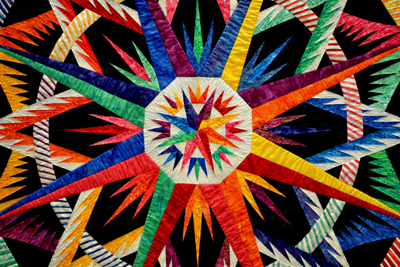 I figure that my greatest gift to the world will be the estate sale following my passing, though I am not going to downsize until I have taken my last stitch....and then I will be so happy to pass on my sewing collection to another that will love them as I do! 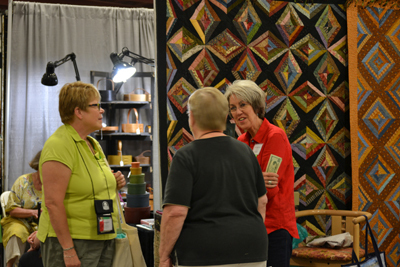 For quilters, textile artists, fabricaholics, or those who simply love home-arts as I do, don’t miss putting this event on your calendar for next year. 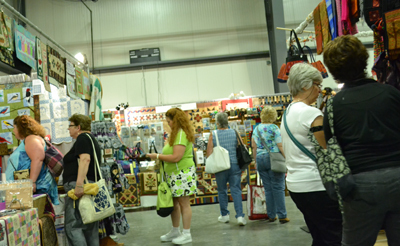 You can find all the information you need to know to plan ahead for this show on their website http://www.vqf.org/. 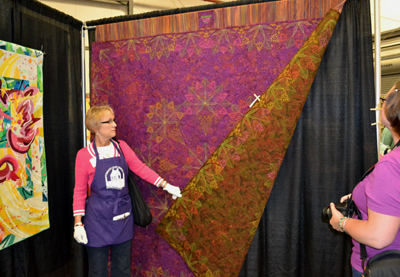 Information is there too for those that wish to enter one of their own quilts in this fine display! 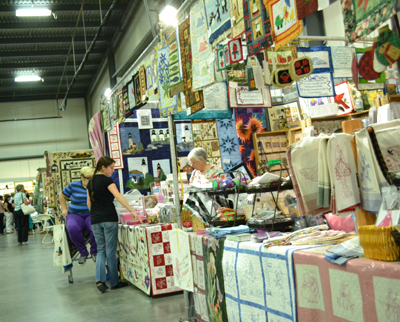 They say it is the oldest and biggest Quilt Show in New England and their collection of antique quilts is wonderful as well. 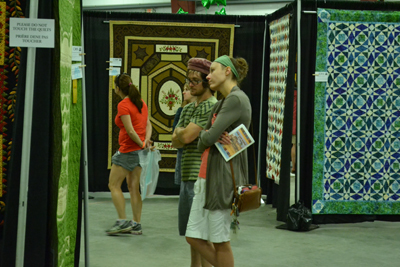 I am not paid to advertise for them, but I am merely passing onto my readers that if you haven’t ever attended this quilt show, it is worth making a trip to Vermont to see!